Corduroy pieces often come out to play during the fall and winter seasons. The textured fabric can often be difficult to commit to and style, especially if in skirt form, but this street style star shows just how to wear the skirt to give it a cool factor. 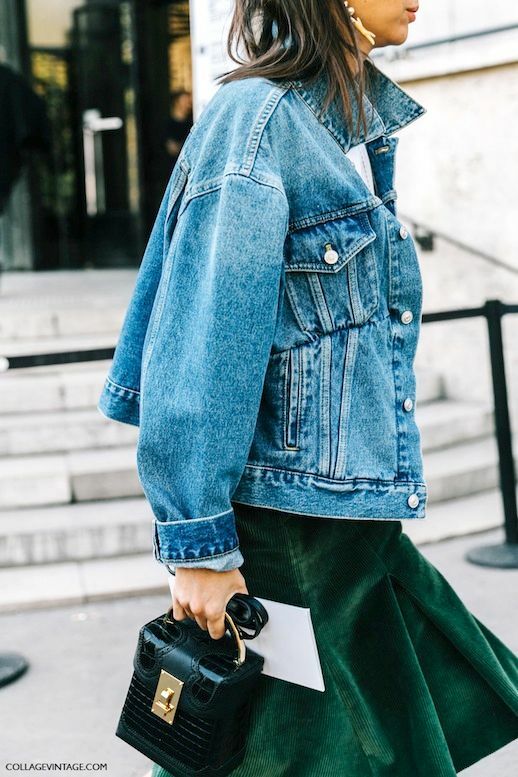 Start with trending chunky drop earrings, an oversized denim jacket with the collars popped for flair, and add a statement metal-handle bag to the mix to elevate it even further.